Meet Karen and David, teachers who know how to play, and believe teaching begins by creating the space for exploration and deep enquiry through kindness and nurturing support. From the very beginning ‘Teacher’ was written in Karen’s future - she always felt a strong connection to other people, wanting to bring the best out of them. It was 9/11 that caused her to question her focus as a performer and ultimately shifted her into the rich and rewarding world of teaching. She is a hands on co-collaborator with her students: “We’re all playing in the same sand box!” Her tools of creativity and curiosity help bring a student’s voice front and center by giving room to explore the undiscovered aspects of themselves - the results can be surprising and joyous, challenging and life changing. David really enjoys teaching! He realized long ago the value of remaining open to receive the learning inherent in the act of teaching. “To teach is to learn twice” was the mantra of his mentor, and he has come to know this as a deep truth. He offers kindness and love of the art form, creating a bridge which opens up and expands to help others fulfil their dreams of becoming an artist. He knows from his creative endeavors that liberating your own voice can be an awesome thing - bringing exhilaration and joy - and he knows the courage it takes to find the deep well of who you really are, and go for it. 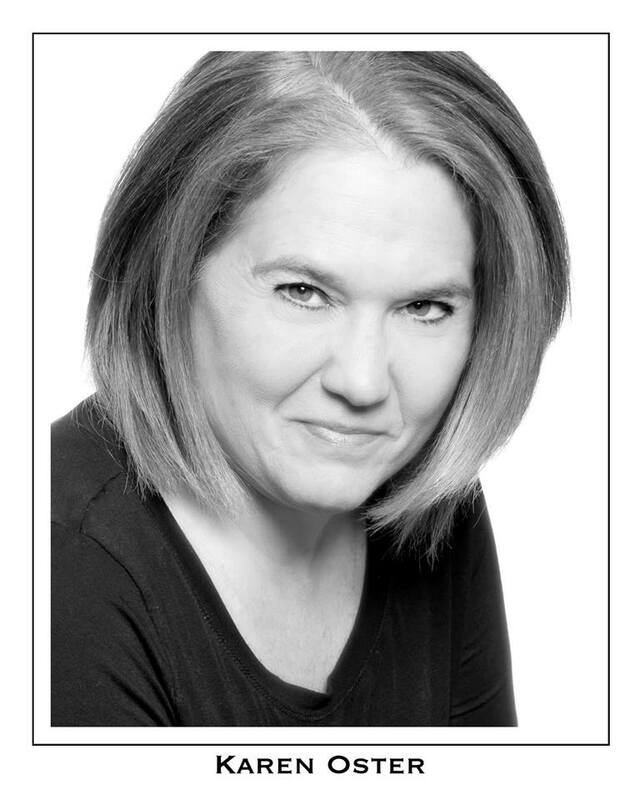 KAREN OSTER, has a BFA from The Boston Conservatory in Musical Theatre and Directing and an M.Ed from Cambridge College. She has facilitated, directed and coordinated the performances and involvement of young cast members in numerous productions including the Broadway/ National tour of Joseph and the Amazing Technicolor Dreamcoat, and Paul Simon’s The Capeman on Broadway with Marc Anthony. Karen is a professional musician and actress as well, having performed throughout the country in various productions and studied with well known cabaret artists. Karen’s adaptation of The King and I is currently licensed for performance throughout the country as Getting to know… The King and I. She has also directed and produced the revival of The Baker’s Wife with composer/lyricist Stephen Schwartz Karen is currently the Chair of Performing Arts at Middlesex Community College in Massachusetts and is pursuing her PH.D at Lesley University in Education and Theatre. 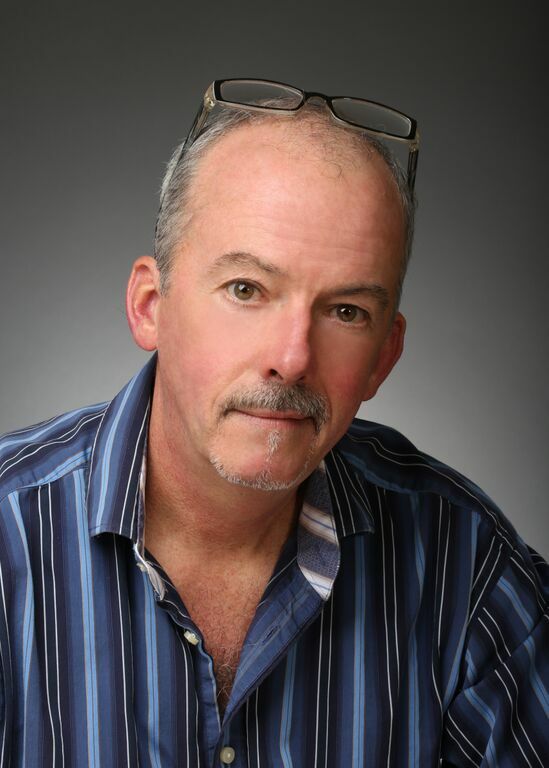 David McCarty has directed and choreographed in the fields of Musical Theater , Opera and Dance for over 30 years and is currently a principal teacher and the Director of School Productions at the Academy of Performing Arts in Orleans, Ma. As stage director in Opera, past productions include Faust with Cleveland Opera, Madame Butterfly with Syracuse Opera, The Elixer of Love with Indianapolis Opera, and The Merry Widow with Opera Providence. As Producing Artistic Director of Cape Cod Opera his productions include Cav/Pag, Carmen, Tosca, Cosi fan tutte, The Merry Widow, Die Fledermaus, and Don Pasquale. Bill teaches in the world of acting and Sue Ellen teaches in the world of singing: Both teach voice. Bill came to teaching as a way to positively impact the world while continuing to do his own creative work in the theatre. He found he could bring the creative and the scientific together through open-hearted teaching. He encourages his students to bring all their senses into the study of craft and technique by creating a safe, challenging, and nurturing environment where everyone grows as an artist, himself included! Bill Fennelly’s work has been seen on Broadway, Off Broadway and regionally. Director Fly By Night (Bay Area Critics Circle Award nomination for Best Direction), Frankenstein the musical Off Broadway, A Christmas Carolfeaturing F. Murray Abraham and Lynn Redgrave, Original Assistant Director Jersey Boys, Resident Director The Lion King, staff director with New York City Opera at Lincoln Center, Phil Killian Directing Fellow at Oregon Shakespeare Festival as well as projects at Actors Theatre of Louisville, Syracuse Stage Company, Dallas Theater Center, TheatreWorks Palo Alto, Playwrights Horizons, Hartford Stage Company, Goodspeed Opera House, Manhattan Theatre Club, Roundabout Theatre Company, Portland Center Stage Company, Arizona Theatre Company, Fords Theatre, The Alliance Theatre, Glimmerglass Opera, American Musical Theatre Project, National Alliance of Musical Theatre, and Walnut Street Theatre among others. Associate Producing Artistic Director of The Acting Company and Assistant Artistic Director at Cirque du Soleil. B.M. from the Hartt School and an M.F.A. in Directing from U.C.S.D. Bill is an Associate Professor of Theatre at Drexel University in Philadelphia. member of the Proposition Theater and taught for many years at Trinity-Brown Conservatory. She resides in Natick, where she maintains a voice studio. Her first book of poems "Aroused Angel" has just been published. POLLY YOUNG-EISENDRATH, Ph.D., is a Jungian Psychoanalyst, Psychologist, author, and speaker. She is Clinical Associate Professor of Psychiatry at the University of Vermont, founding faculty at the Vermont Institute for the Psychotherapies, and past president of the Vermont Association for Psychoanalytic Studies. She is in independent practice with individuals and couples in central Vermont. 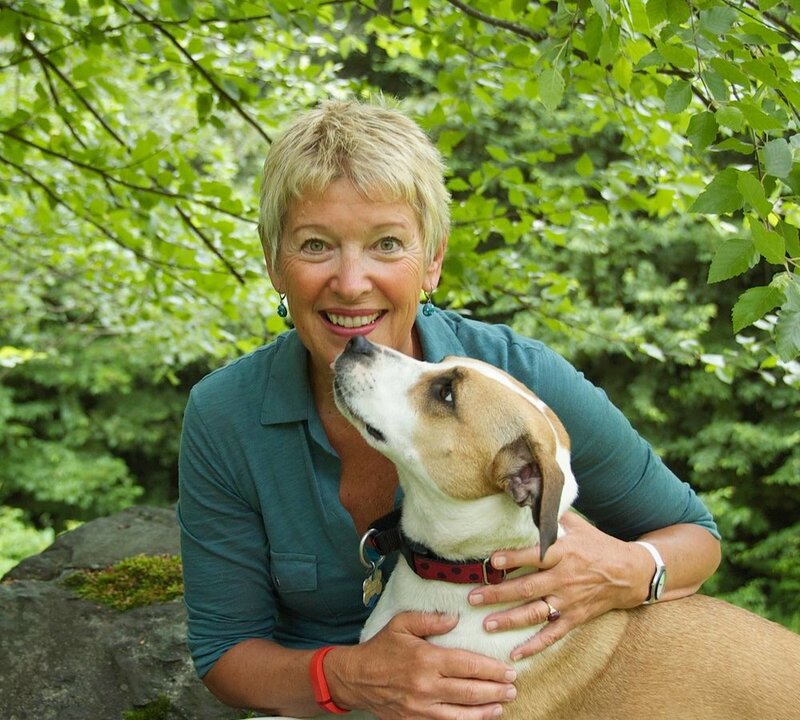 Polly is the originator of Dialogue Therapy, a time-limited couple therapy that integrates psychoanalysis and mindfulness and helps couples move from disillusionment to intimacy. Polly is the author of fifteen books, as well as many chapters and articles. Her books have been translated into more than twenty languages. Her most recent works are The Present Heart: A Memoir of Love, Loss and Discovery (Rodale, 2014); The Self-Esteem Trap: Raising Confident and Compassionate Kids in an Age of Self-Importance (Little, Brown, 2008); and The Cambridge Companion to Jung: New and Revised, of which she is co-editor with Terence Dawson (Cambridge University Press, 2008). In 2018, Shambhala Publications will publish True Love Ways: Relationship as Psycho-Spiritual Development, Polly’s new book which sets out the principles of Dialogue Therapy for a general audience. Susan talks with Anna Toufexis in a 15 min short conversation about trusting your heart, being vulnerable, and practicing compassion with strangers. You don't want to miss this insightful and moving discussion!